Scangrip Multimatch Light is the perfect light for spotting those ugly surface imperfections like swirls, fine scratches, RIDS, orange peel, haze and more! When you don't have direct sunlight available for inspection this is the answer you're looking for! Using Multimatch at any detailing service or bodyshop and you will be amazed at how well the imperfections are revealed with the powerful lumen output. Multimatch features a curved body and it is made of diecast aluminum, which makes it extremely sturdy and shockproof to help endure even the strongest bumps and drops. This curved body also allows the lens to stay protected on a drop as it will never strike the ground. The adjustable base allows you to stand the light at various different angels, to hit exactly the correct part of the paint needed. At the same time it is dust and waterproof. The replaceable glass lens is resistant to all kind of solvents and tolerating of daily cleaning. The long operating time of this light makes it possible to complete a job without interruption by time-consuming recharging. If you are near an outlet and do not mind a cord, the included charging cord allows you to keep the light plugged in and working as long as you need it to. Two settings, high and low, make for easy visibility of ugly swirls, RIDS, scratches, holograms, etc. This is the light professionals must have and enthusiasts will dream of owning. 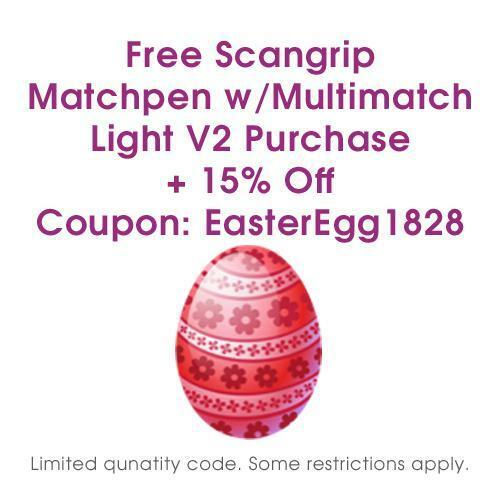 So if you are looking for an amazing all around work light to help you spot imperfections, the Scangrip Multimatch Light should be your choice! Overall I'm very happy with the Multimatch 2 light and think this is definitely one worth getting over the original. The original is a great light and I still use mine almost daily. However, this new version is brighter, more durable (based on limited experience and look & feel of materials), comes with a handle, easy to use charger, two color settings and 5 brightness settings. This light is pricy but so far I am very satisfied. With 2500 lumens it effortlessly finds every little scratch and imperfection in the paint. Paired with the tripod stand, this light will be a game changer for my business. Goodbye traditional floodlights! These lights from Scangrip have definitely outperformed our old trusty lights in our detail studio from day 1. The versatility and mobility of these lights is unmatched. Not only do they provide great lighting on paint correction projects, but can be brought to the interior of the vehicle or anywhere that requires improved lighting. The battery life is really good. Once they start to blink, it's time to recharge them or keep working by simply plugging them in. 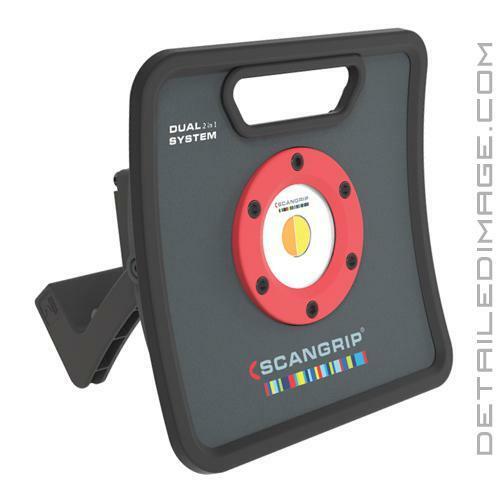 A must-have for any mobile detailer or brick and mortar shop! Great light to use for paint corrections, in my shop we prefer low lighting and then break out our scangrip lights to see defects much easier. Theses lights have two different options on brighter then the other. Quite frankly I'm amazed, and will definitely be a returning customer.